Simple and complex problems will be covered with examples and resources that backup the approach and technique. Real world solutions that are broken down for multiple target audiences; from beginner developers to technical architects. Learn to build true web applications using the latest industry standards for iOS Safari. Create compelling web applications specifically tailored for distribution on iOS Safari. Work through real world examples with references, and in-depth discussions on the approach; including its benefits and drawbacks. Start with reviewing current industry standards for frontend development, and end with creating a native application using the same codebase. Your journey will begin with an overview of current industry standards for frontend technology, quickly moving to solve real world issues; from creating a resizable or responsive gallery, to creating a single page application that utilizes the popular Backbone.js framework. 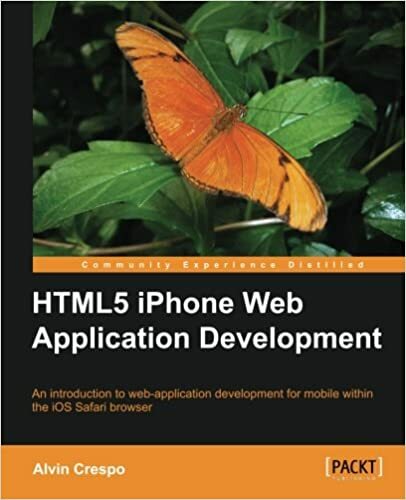 "HTML5 iPhone Web Application Development" aims to make you an expert in developing web applications for the iOS Safari platform.